How to cook shrimp? That is the easy part! 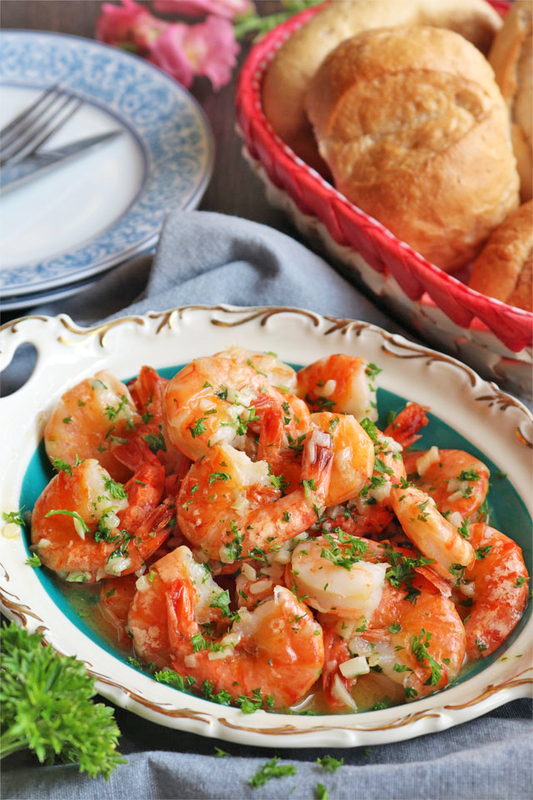 Shrimp are one of the easiest and fastest seafood to cook. 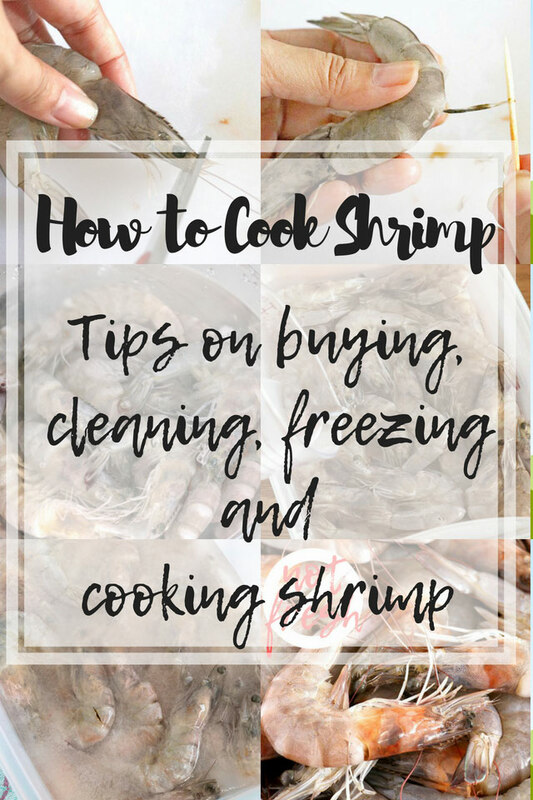 Unless you’ve bought the frozen shrimp that are ready to cook, there are things you have to do first before you can enjoy them, like cleaning and deveining them and if you cannot cook them immediately then you might want to freeze and store them for weeks (or even months). But no worries, it is not all that complicated…a little time-consuming maybe because you have to handle each piece one at a time when cleaning them but it is all worth it in the end. How to buy fresh shrimp? I got this tip from my Mama who is an expert when it comes to buying fresh shrimp. Some people might be lured by the orange coloring found on a shrimp head that represents the shrimp’s hepatopancreas, the equivalent of tomalley on crabs and lobsters. This is actually where most of the shrimp flavor is. 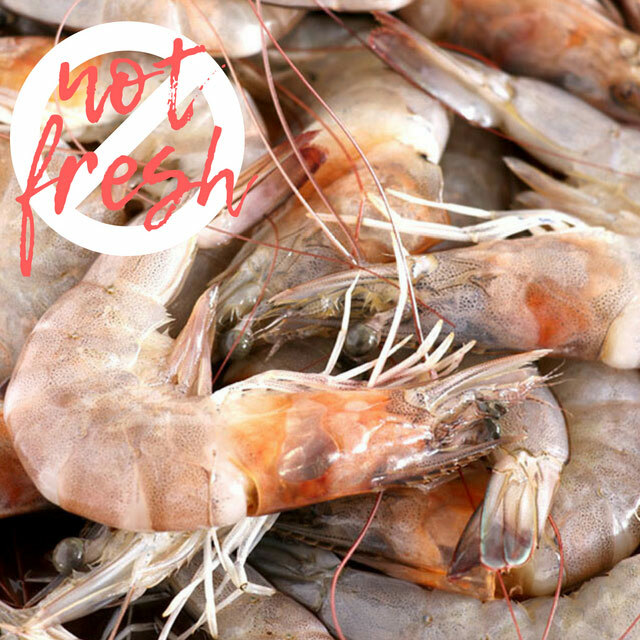 However, when buying fresh uncooked shrimp, it is actually not a good sign if they are already red or orange in color. It means that the shrimp are not as fresh and were already frozen and then defrosted. 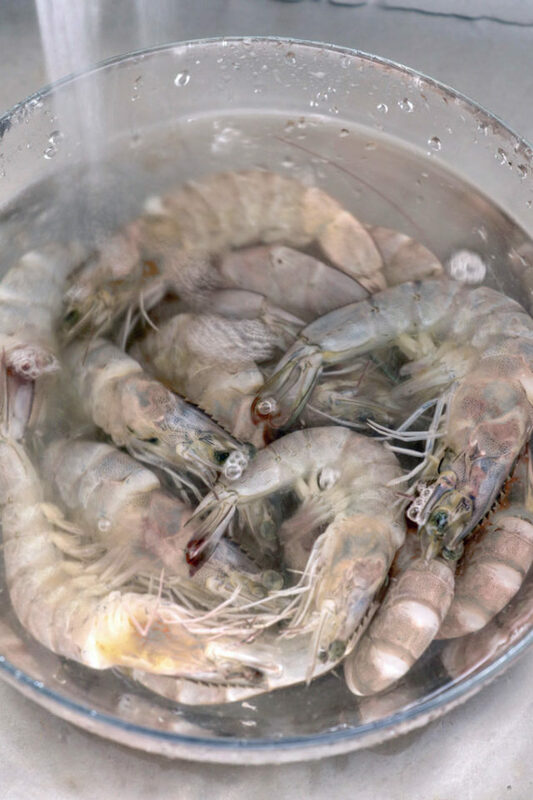 In buying fresh shrimp, look and choose those with color, usually grey to a darker shade, that is even from head to the tail and with the head tightly intact and attached to the body. 1. Remove the whiskers. These are the long tassels found at the tip of a shrimp’s head. Use kitchen scissors or shear to cut them away. 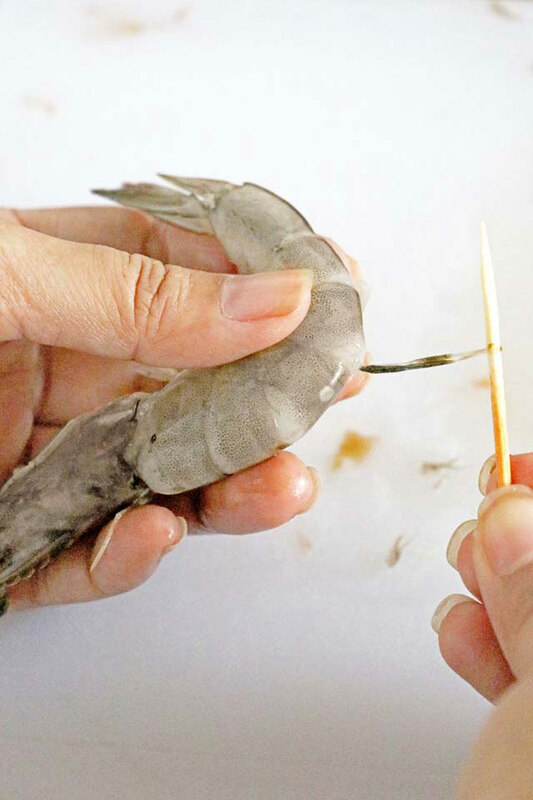 In the Philippines, we very rarely remove the head of shrimp. We cook shrimp with the head intact because that is where you get the most its flavor. Actually, before shrimp cubes even became a thing, we use the juices from the shrimp heads for flavoring as is still done up to now. If you have to cook them without the shell and head, collect the heads and place them in a bowl or mortar and grind them with a pestle until you just have bits and pieces. Add a little hot water and extract the juices. 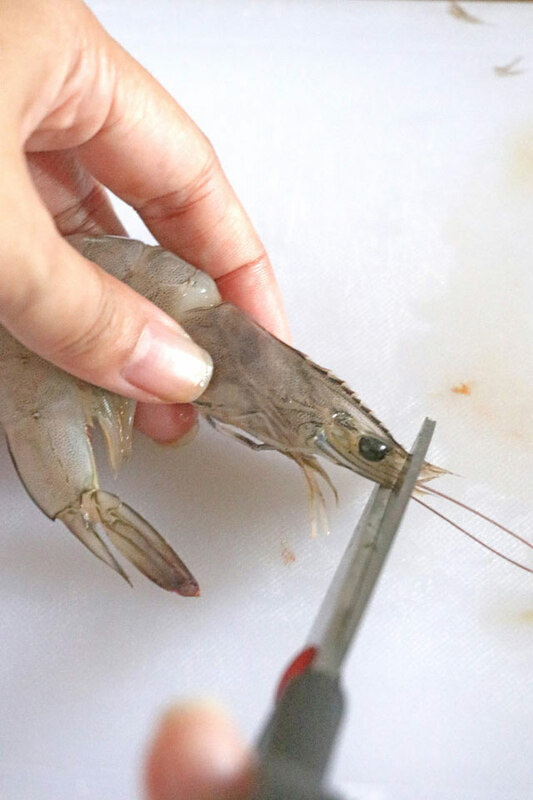 If you prefer to have your shrimp without the head, just pull them out by pinching the head close to the body with your thumb and index finger, slightly twist the head and pull. 2. Remove the vein. 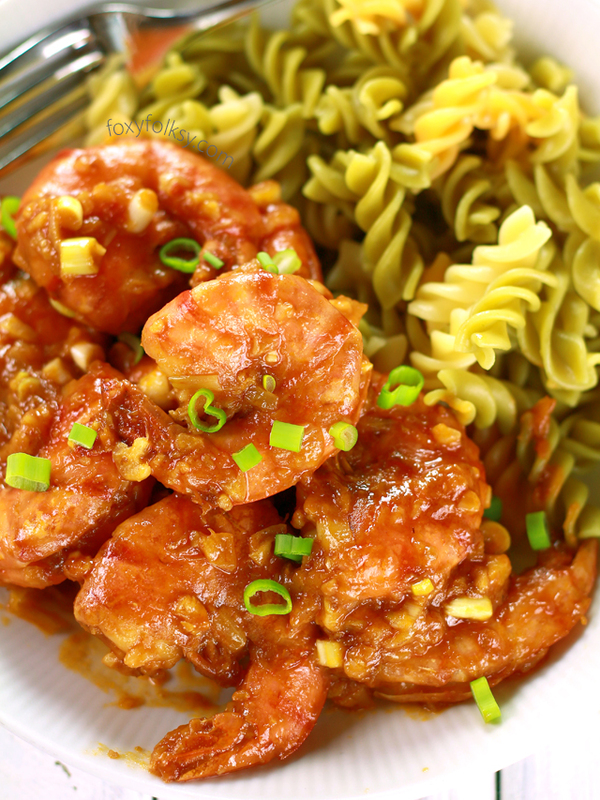 Deveining shrimp is actually not a “must” and rather depends on one’s preferences. However, bigger shrimp have bigger veins and are sometimes they are unsightly and unappetizing and sometimes gritty. 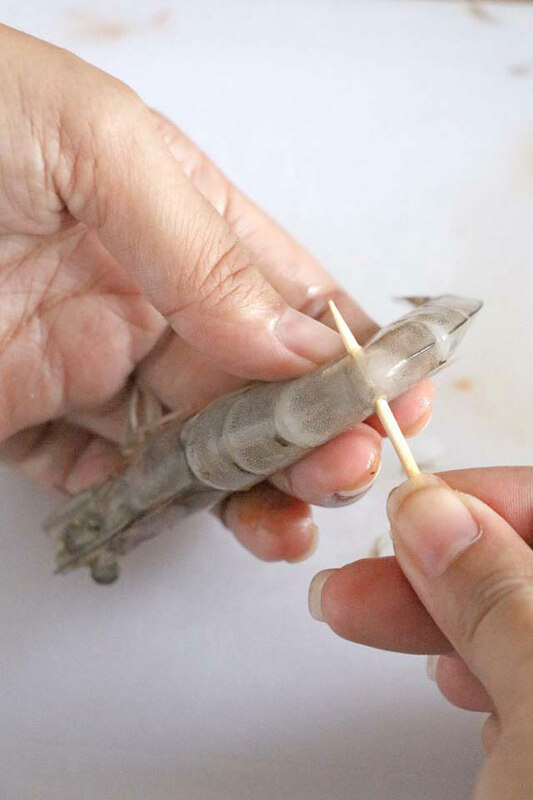 Here is a cool trick that does not require cutting the shrimp and keeping them intact. Use a toothpick and insert it in between 2 shells at the middle part close to the ridge just under the vein. Slowly lift the toothpick upwards and the vein should come out with it. Use your fingers to remove the vein completely. 3. Wash the shrimp. 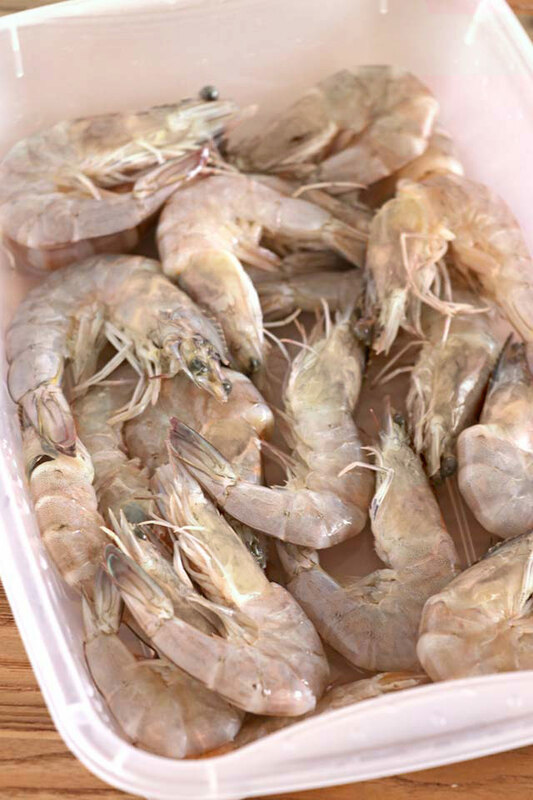 Wash the shrimp several times and thoroughly in running water before cooking or freezing them. Knowing how you can store your shrimp for later use is a very useful thing. This is true for those who are in places where it is difficult to get fresh shrimp all the time, or when you can buy them in the season for a cheaper price so you could buy more and freeze them for later use. One of the perks of having a large close-knit family is you can share ideas and learn a lot of tips and neat tricks from them. 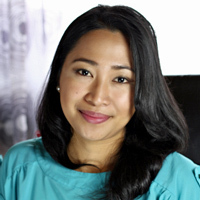 I got this technique from my Mama which was taught to her by my aunt, Tita Au. 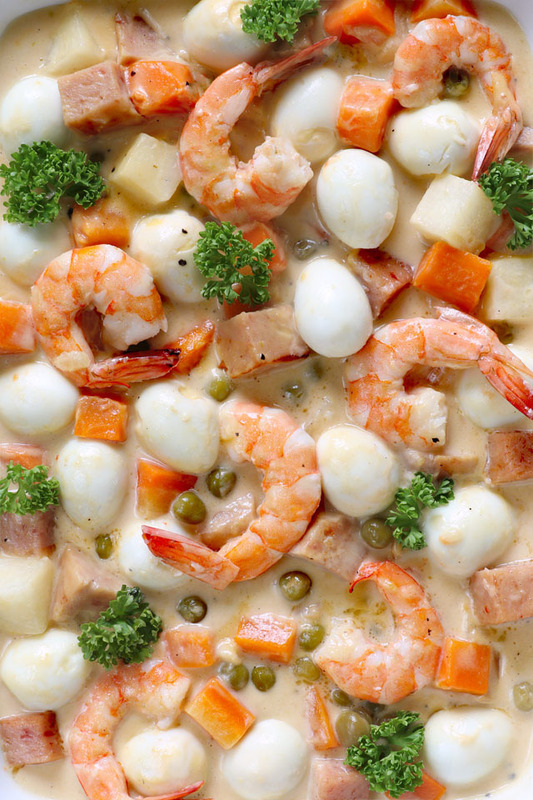 This way of freezing shrimp prevents them from getting freezer burn. So they look as fresh as on the day they were frozen when thawed (even after some months). 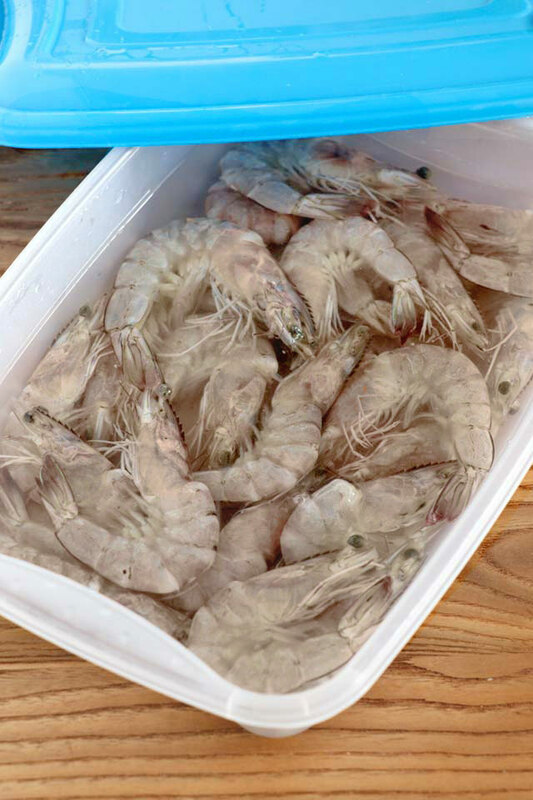 Simply arrange the cleaned shrimp in a freezer-safe container so they lay flat and even. Add enough water to cover the shrimp with at least 1-2 centimeter of water. Place the container in the fridge. 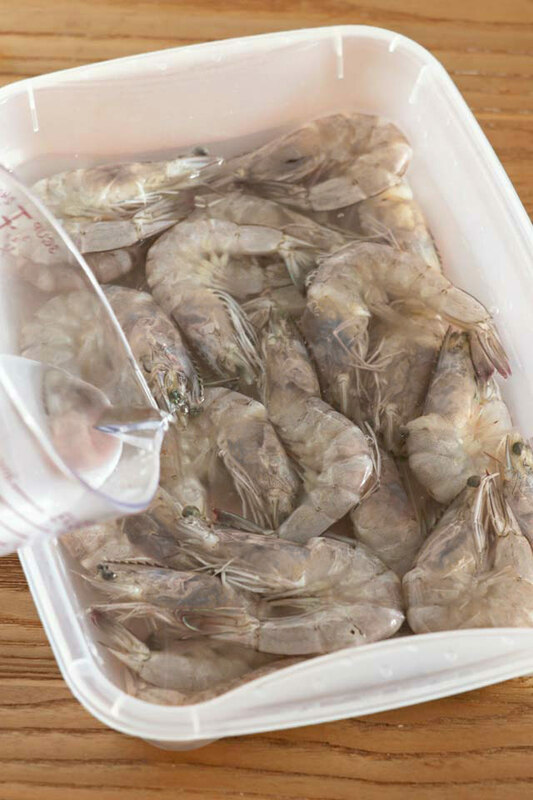 To defrost, just remove it from the freezer and transfer in the fridge to thaw overnight or better yet, just let the shrimp with the container in the sink and let water lightly and continuously run into it. It will defrost in just a few minutes. There are a lot of different ways to cook shrimp. You can steam them, grill them, stir-fry them and do a lot of stuff with them. 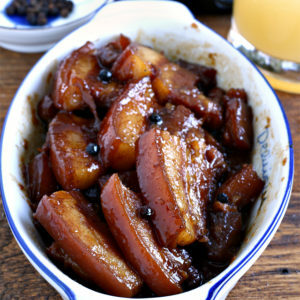 But no matter how you decide to cook it, you need to know certain things so you could get the best results. 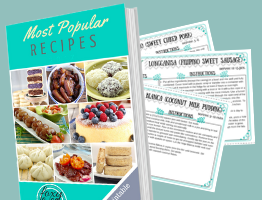 It is better to cook at fast and high heat instead of low and slow to avoid overcooking. To know that your shrimp are done watch them closely and once the body turns completely opaque with a pearly salmon pink or orange color and the tails red remove them from heat. 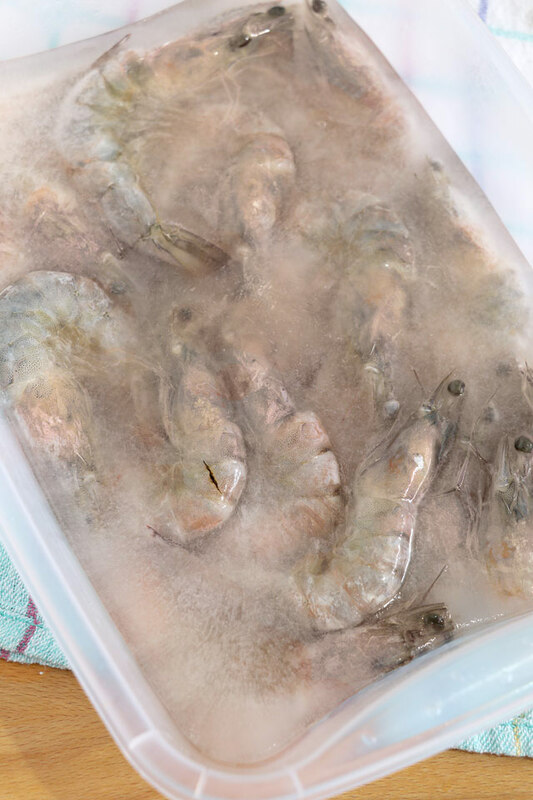 Do not cook frozen shrimp, defrost them first. This makes sure that the shrimp are cooked evenly and at the same time. How to Make Perfect Hard-Boiled Eggs? How to butterfly (spatchcock) and brine a whole chicken? BEBS , I TRIED TO MAKE PAN DE SAL BUT MOST OF THE TIME THE OUT OME IS HARD AS A STONE ..WHERE DID I GO WRONG? IS IT THE WAY I KNEAD OR I DUNNO . PLEASE HELP ME .MANY THANKS . I WOULD APPRECIATE IT SO MUCH IF YOU CAN HELP ME . Hi Sam, my recipe calls for instant dry yeast where the yeast is added directly to the flour. You may use other yeast but check if your yeast is still good by proofing it before using. Dissolve a teaspoon of sugar in a half cup lukewarm water (not hot water or it will kill the yeast) then sprinkle 1 teaspoon of yeast and mix. If it bubbles and creates a froth on top within 5 minutes then your yeast is not the problem. Overkneading can also result in hard, dry bread. Try also to avoid adding too much flour while kneading, the dough is slightly sticky but as you go on kneading it it should get less sticky.